Nope, it's not a remake of the Westworld sequel. 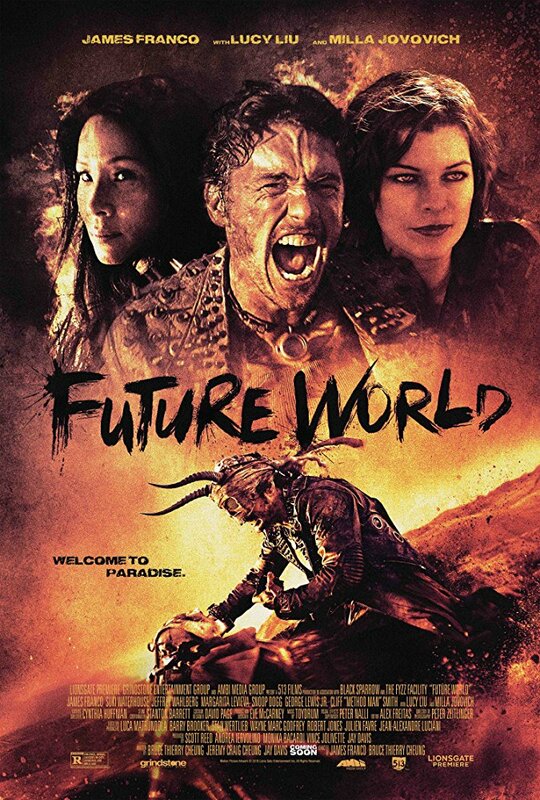 Having starred in last year's The Bad Batch, actress Suki Waterhouse continues her trend of starring in desert set post-apocalyptic sci-fi thrillers with Future World. James Franco also stars and co-directs with Bruce Thierry Cheung, with Milla Jovovich, Method Man, Snoop Dogg and Lucy Liu also starring. Set in a Mad Max style post-apocalyptic future, Future World follows a prince (Jeffrey Wahlberg) on a quest to find medicine for his queen (Liu), aided by a warlord (Franco) and his robot (Waterhouse). Future World opens in US cinemas and VOD May 25th. A UK/ROI release has yet to be announced.